Listen to Linda's #MACsChat on Soulful Selling. We are thrilled that our colleague and MACsWomen Expert Elite Member Linda Albright will bring the Women’s Wealth Revolution LIVE event to us on December 4 in Stamford CT. To learn how to RELEASE YOUR BLOCKS TO SUCCESS & ABUNDANCE as well as SMART MONEY MAKING strategies & SAVVY SPIRITUAL TOOLS to quantum leap your business and your life, click here to learn how to attend! Women’s Wealth Revolution founder Linda Albright believes financially and spiritually empowered women make the world stronger, healthier and happier. For that reason she is passionate about helping heart-centered visionaries reclaim their confidence, align their personal spirituality with their business mission, and make great money with their natural gifts and talents. Linda has decades of experience building successful companies, ranging from a chimney sweep business to an investor-funded dotcom. 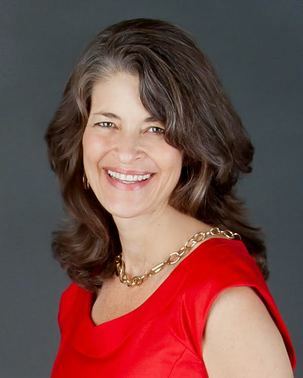 In addition to running her own multi-six-figure company, Linda serves as an Expert Elite Member of the Motivators and Creators Women's Group; on the Advisory Board of the national networking group Over 40 Females, and is a Founding Board Member of the Copper Beech Institute, an exciting new center for mindfulness in Connecticut. A self-proclaimed “revolutionary,” Linda must stay on her toes in order to quell any uprisings at home caused by the 3.5 kids she keeps track of (aged 11, 13, 16 and 87). Through her programs such as the Wealthy Woman Inner Circle, the Soulful Sales System, and the Money Empowerment Program for Women Entrepreneurs, Linda arms women with the tools they need to make more money with their divine gifts and talents, thereby furthering the mission of the Women’s Wealth RevolutionTM.